A Moray mum has been overwhelmed by the public’s response after donors pledged more than £20,000 in just three days to help send her three-year-old daughter to the United States for potentially life-saving cancer treatment. 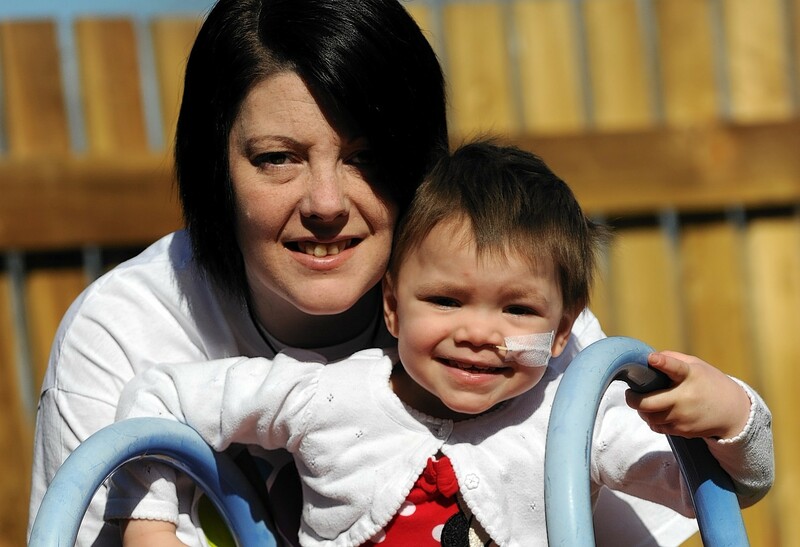 The money has poured in since the Press and Journal highlighted the challenge facing Gail Paterson, who has just over eight weeks to find £100,000 so toddler Eileidh can take part in a pioneering trial using drugs that are not yet available in the UK. The youngster was diagnosed with high risk neuroblastoma – which causes aggressive tumours to spread throughout the body – 12 months ago. For most of the last year, she has been forced to call hospital home while she endures countless surgeries and therapies. The programme is scheduled to finish at the end of May – and if final scans show no evidence of disease, it will signify the eynd of her treatment in this country. However, her family is now fighting against the clock to raise funds for an eight-week clinical drugs trial – which they hope will reduce the risk of relapse – at the Helen DeVos Children’s Hospital in Michigan in June. Last night Ms Paterson said she could not believe how much the campaign has “snowballed” since the Press and Journal featured Eileidh’s plight. The 39-year-old said: “We have over £17,000 on the just giving page, and there is about £4,000 on the NCAA UK (the Neuroblastoma Childrens Cancer Alliance) page. It has just snowballed in the past couple of weeks. “Since the article went into the Press and Journal, it has been pandemonium. My phone has done nothing but go off with people wanting to help with presents or donations, or asking for information to hold events. Among the activities so far, a group of skippers, crew and owners from Hopeman auctioned off boxes of fish in Peterhead to raise more than £1,100. Children’s entertainment group, Love Rara, collected more than £1,300 on Sunday at a charity bowl at Codona’s in Aberdeen. And when Aberdeen FC midfielder Ryan Jack raffled off a signed football shirt for £635 at a Wood Group bake sale, bosses at the company doubled the total. Looking ahead, firefighters from Forres Fire Station have organised a sponsored car wash and a sponsored leg waxing on May 17 for the brave little girl who has become something of a local celebrity. And supporters anywhere can get behind the campaign by going to www.justgiving.com/EileidhsJourney or texting EPAT88£10 — or any amount between £1 and £10 — to 70070. Ms Paterson added: “Everyone just adores Eileidh. She is always smiling, always happy, and it’s hard not to smile when you are around her.